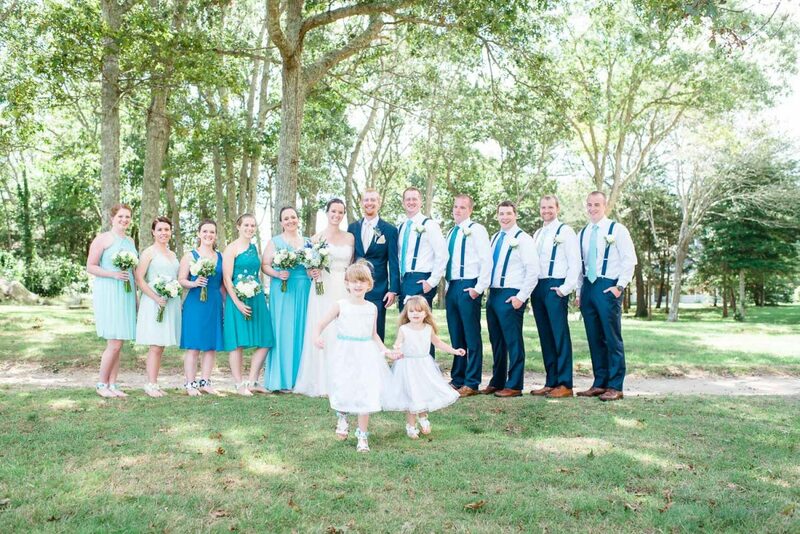 Matt and Amanda are married!! 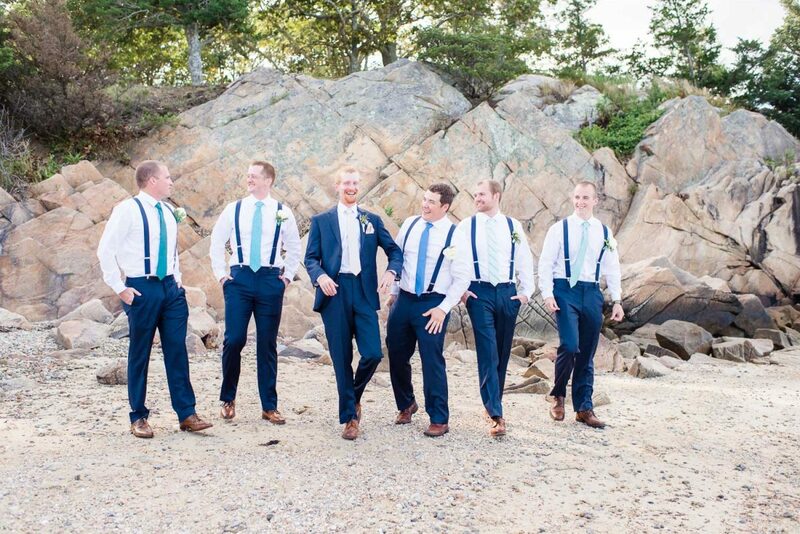 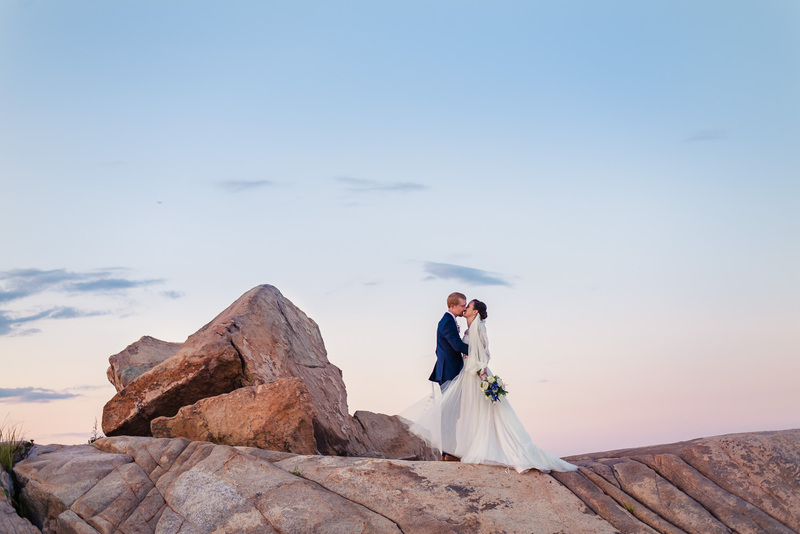 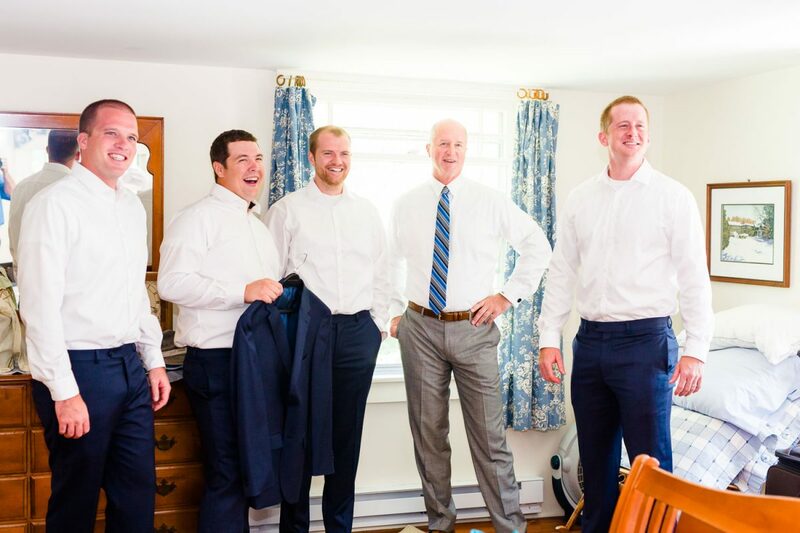 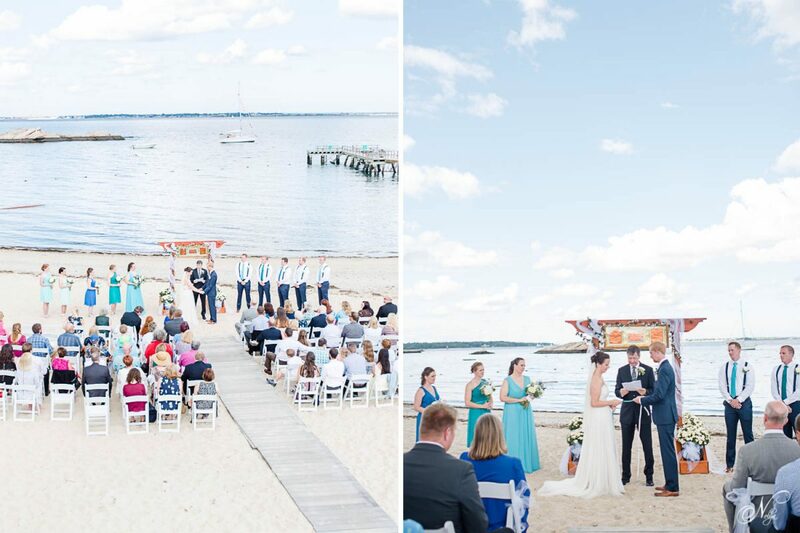 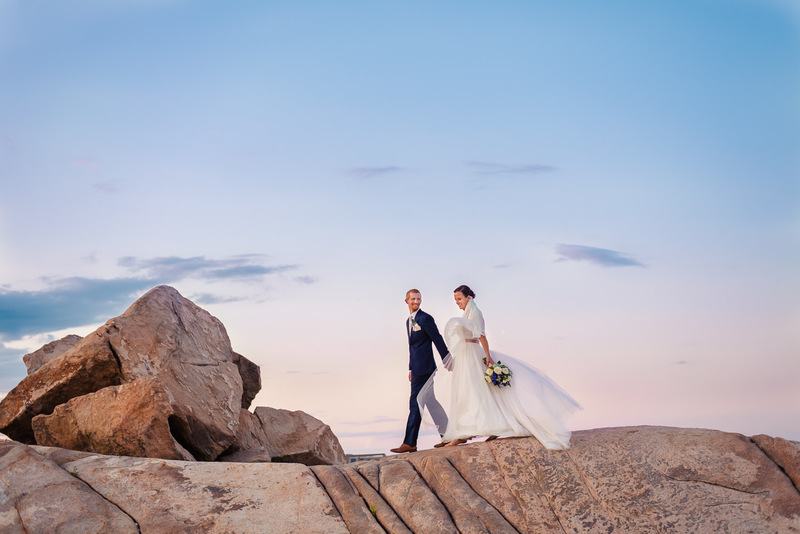 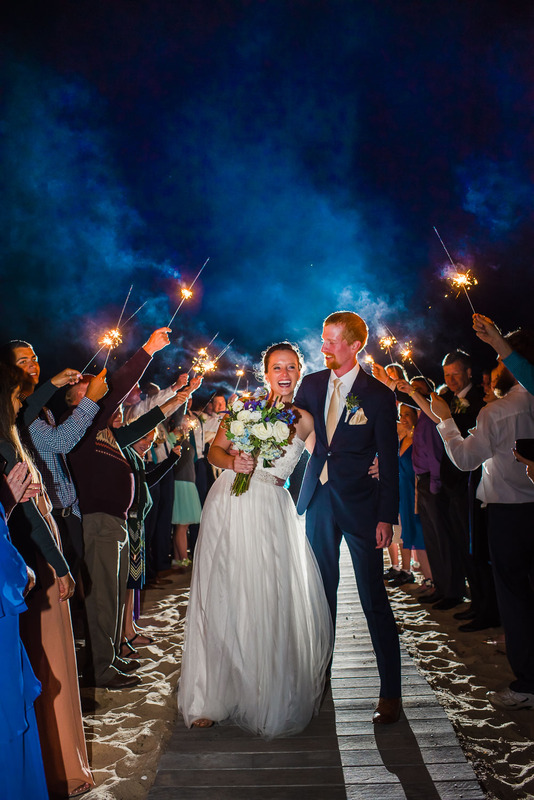 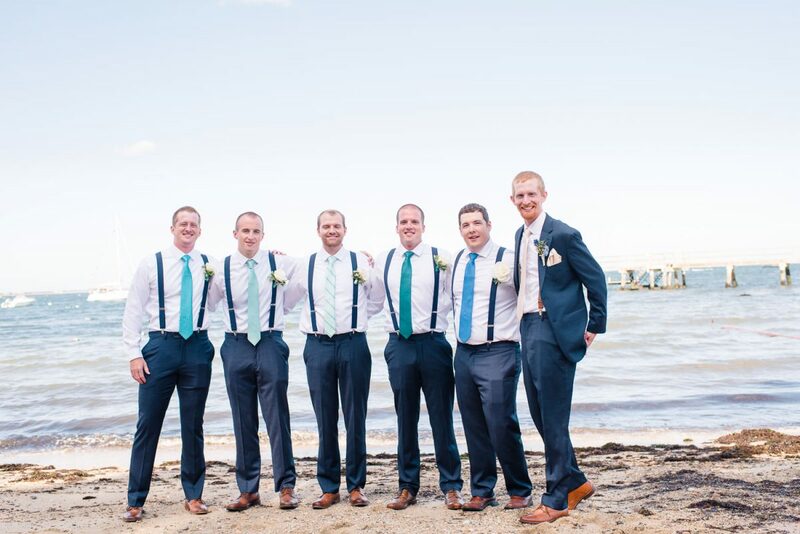 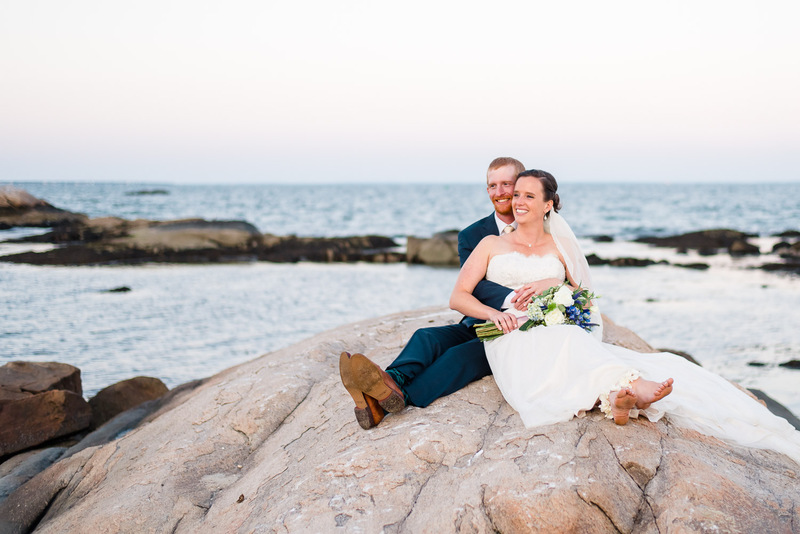 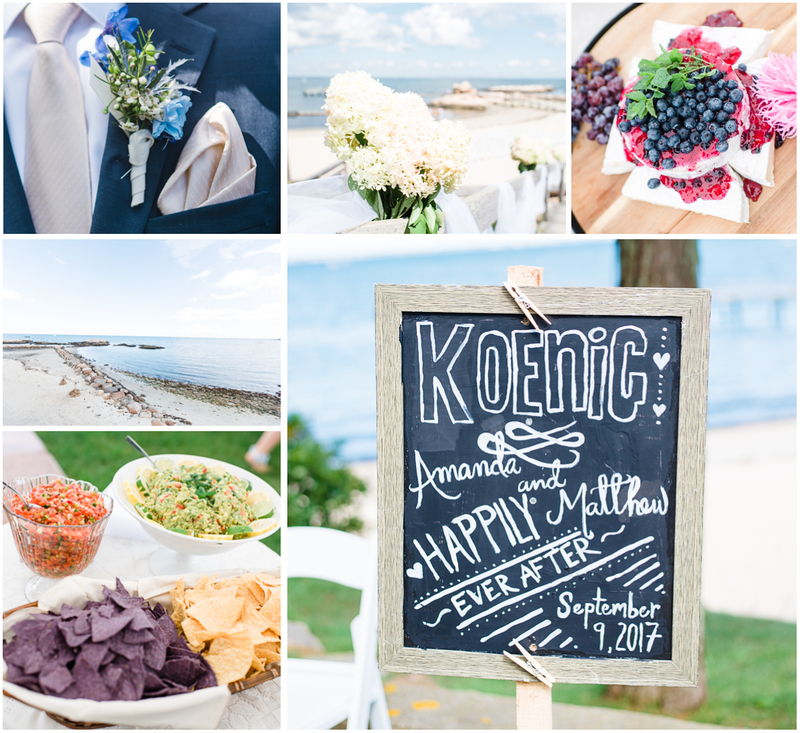 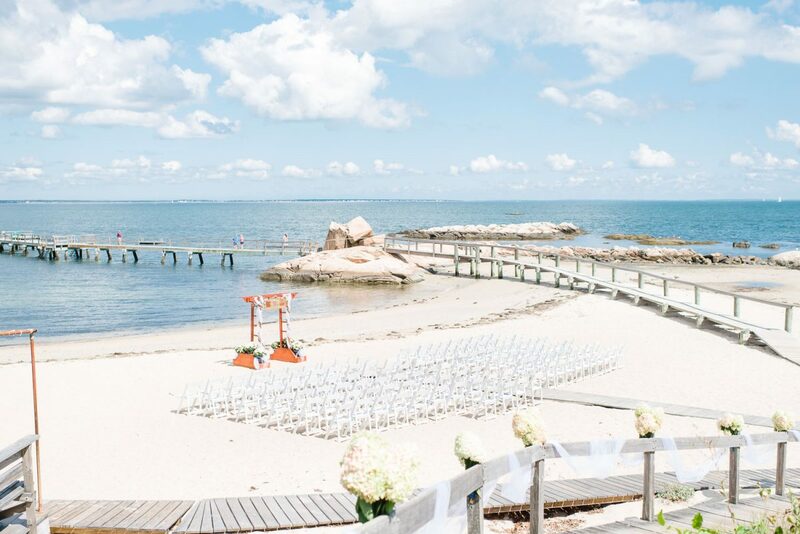 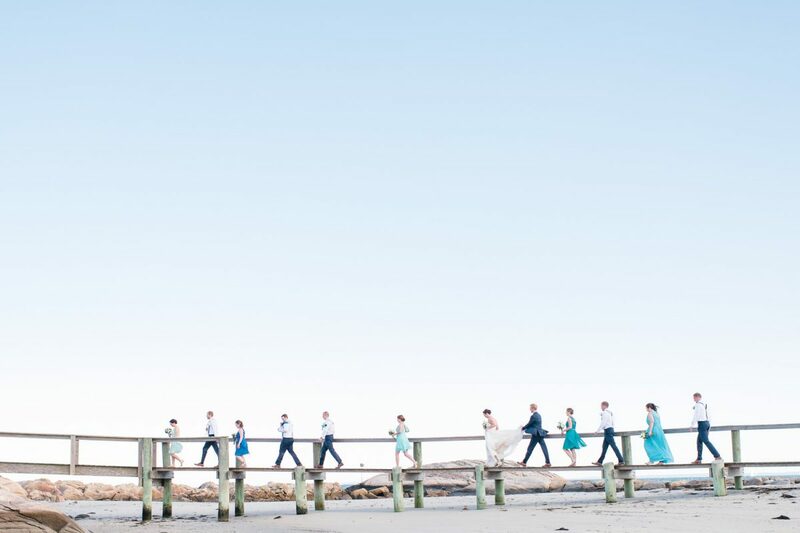 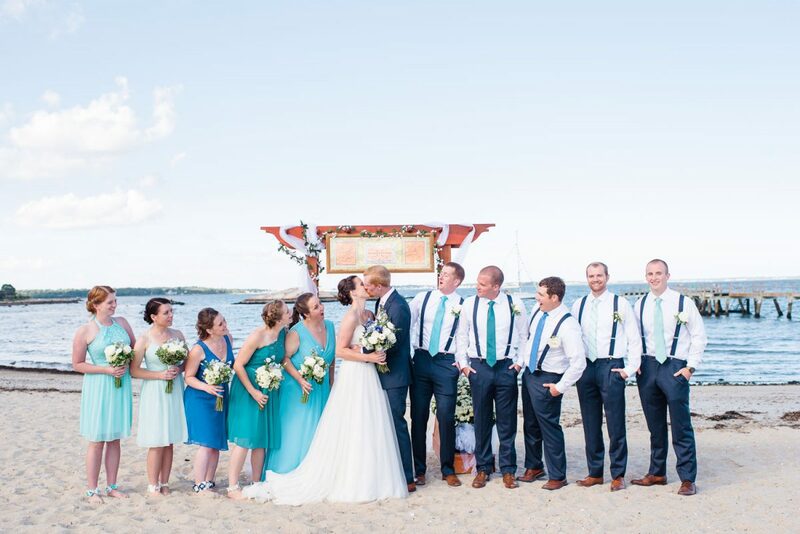 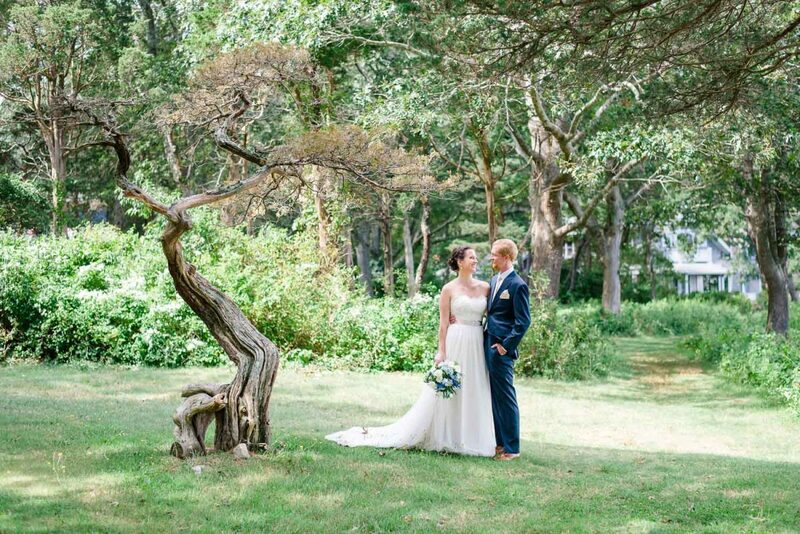 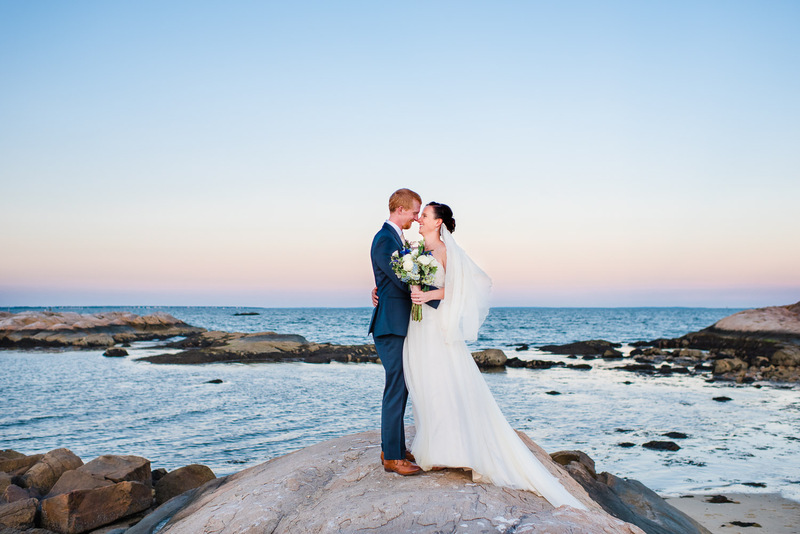 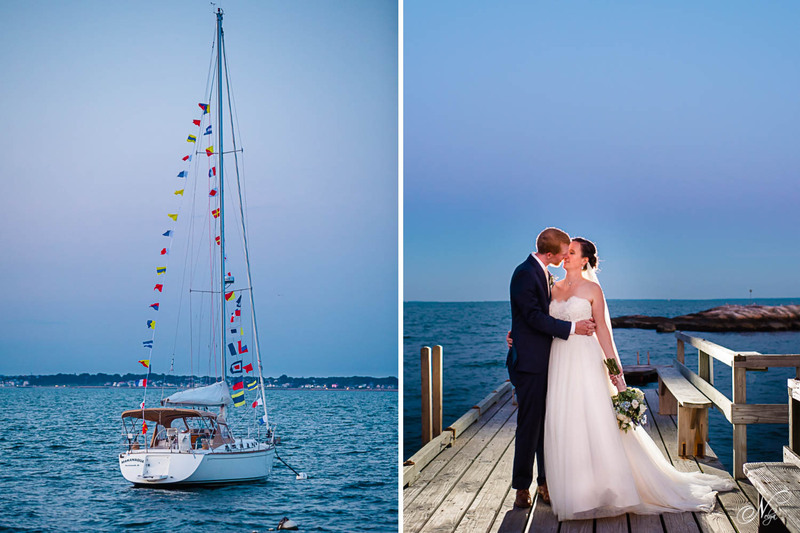 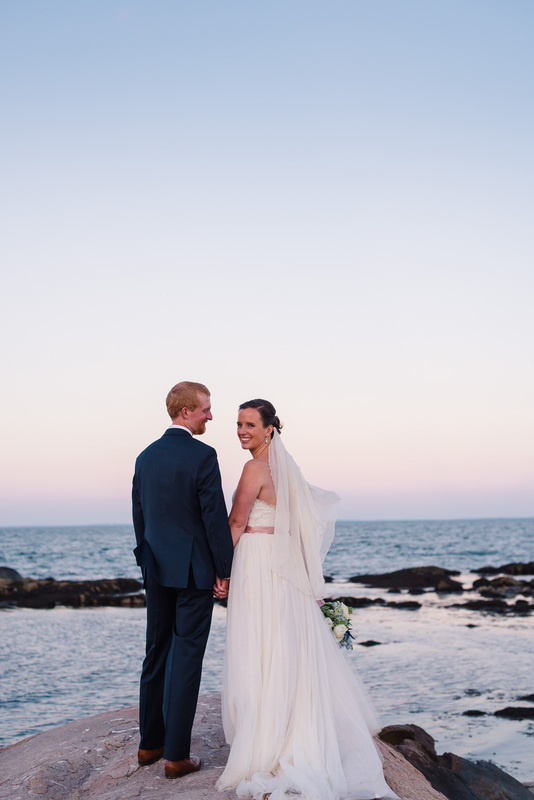 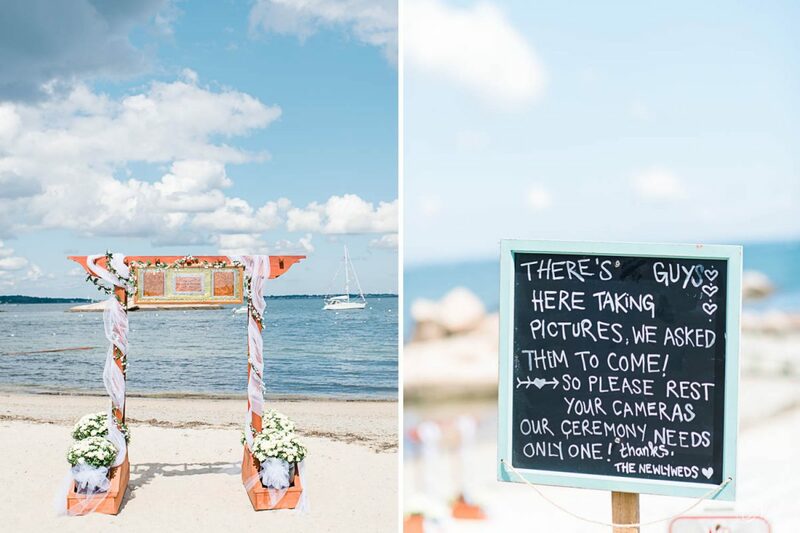 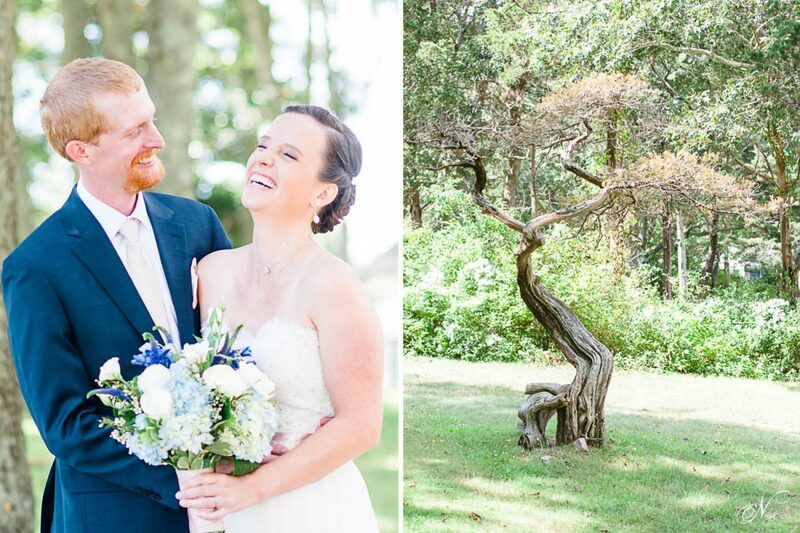 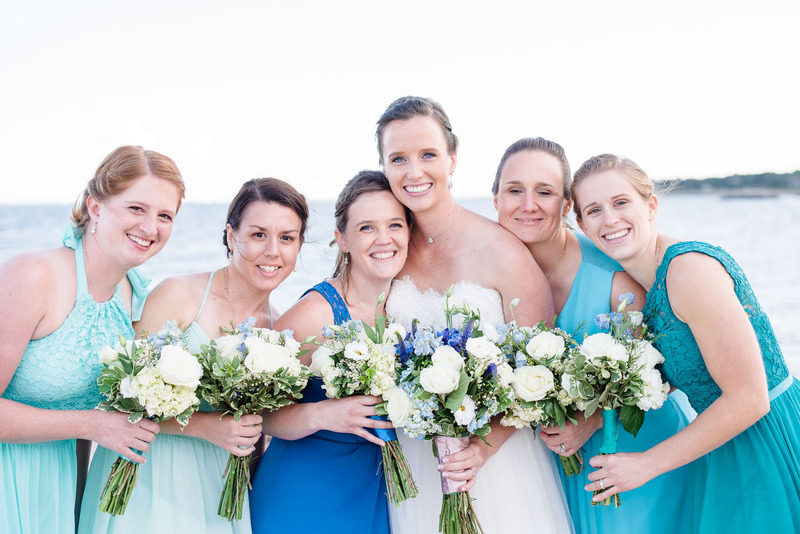 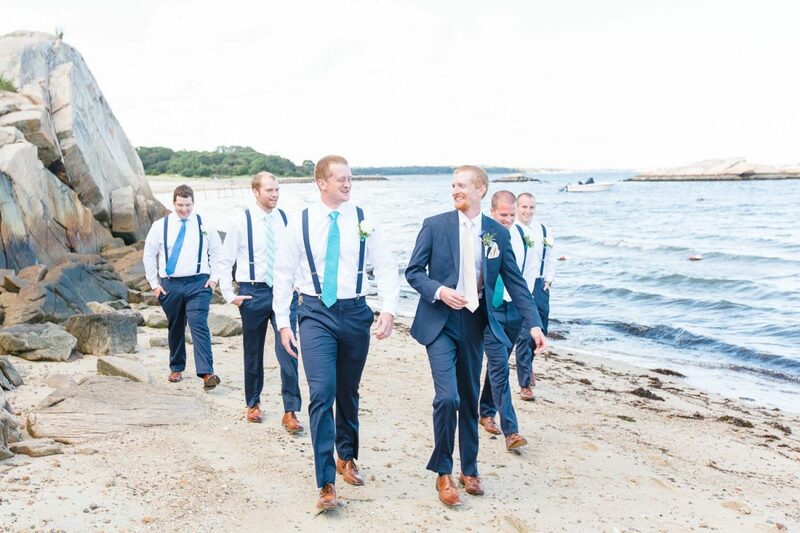 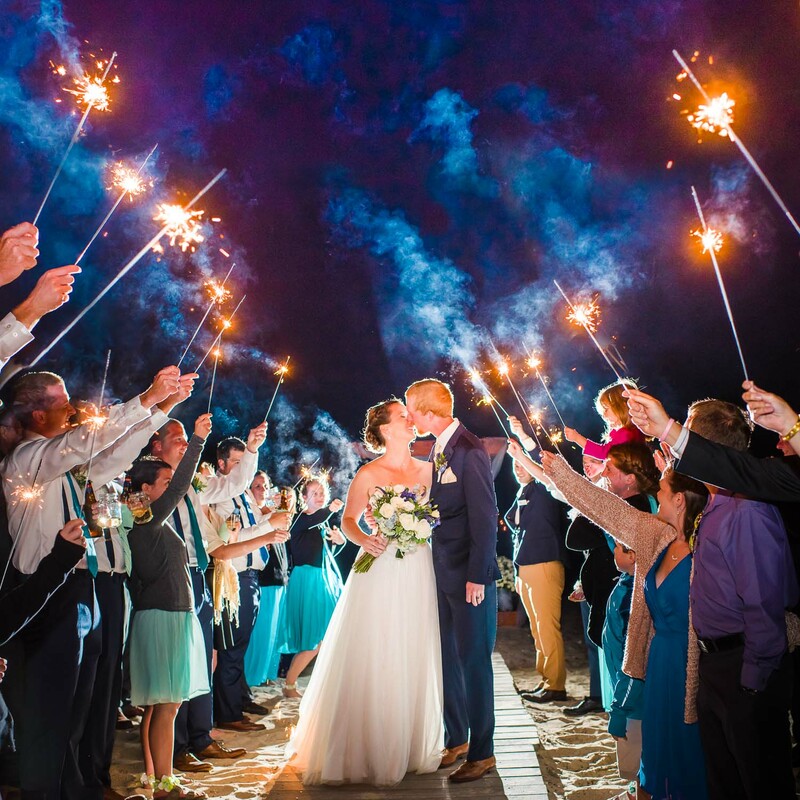 They celebrated their big day on the shore of the Atlantic ocean in Massachusetts. 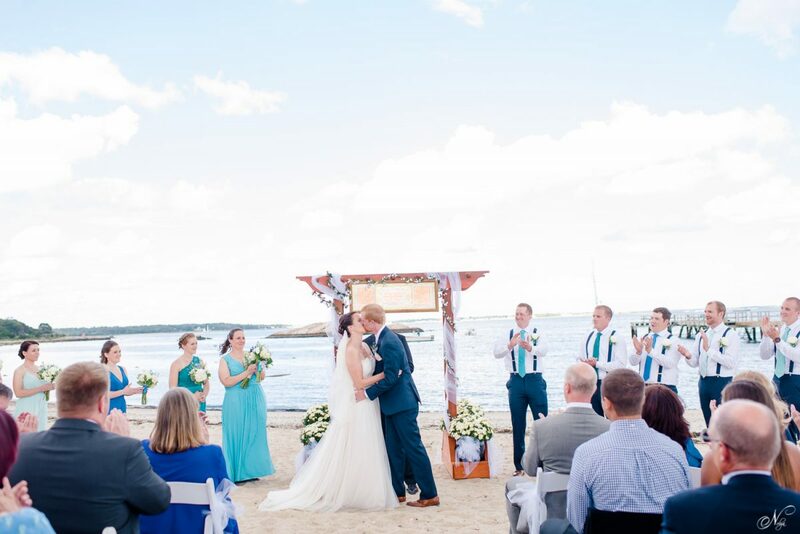 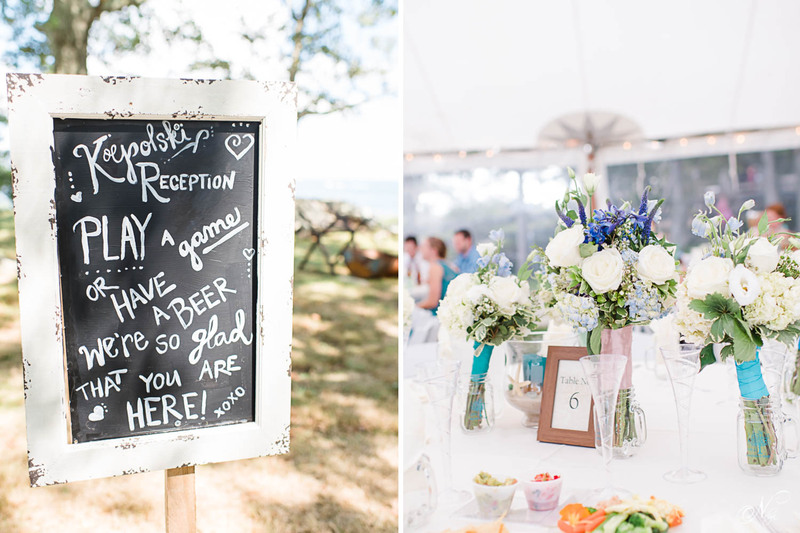 It was the most pleasant sunny September day for a beach wedding. 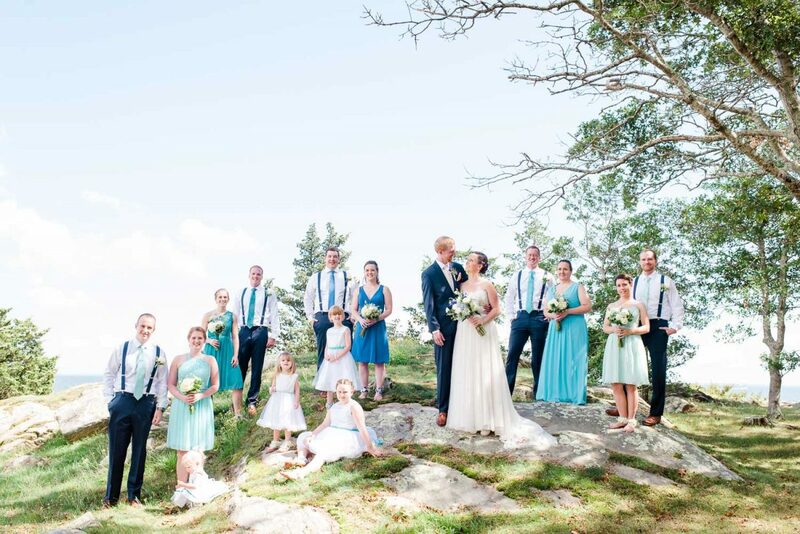 We had sunshine and a few clouds …and no rain!!! 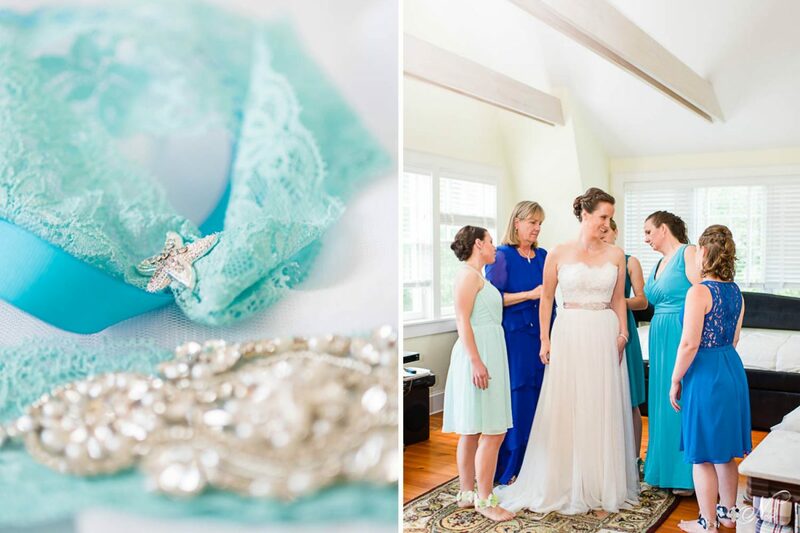 While the girls were off getting hair and makeup, I walked in to start photographing details. 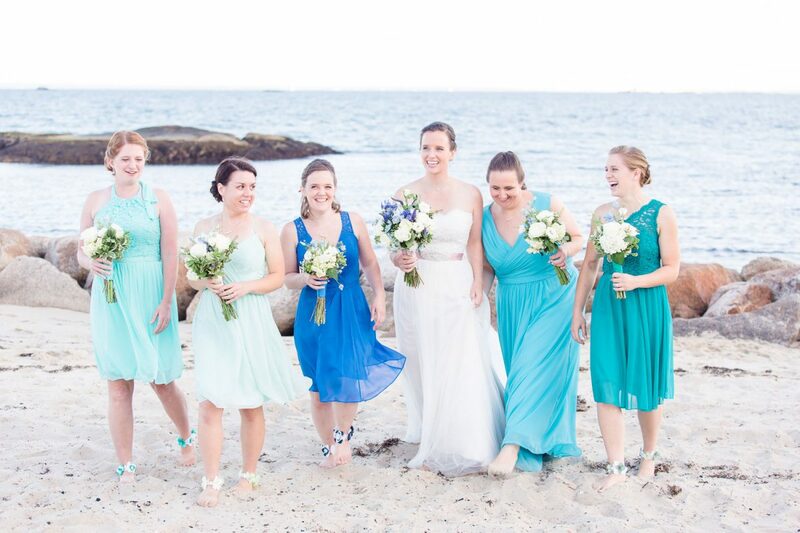 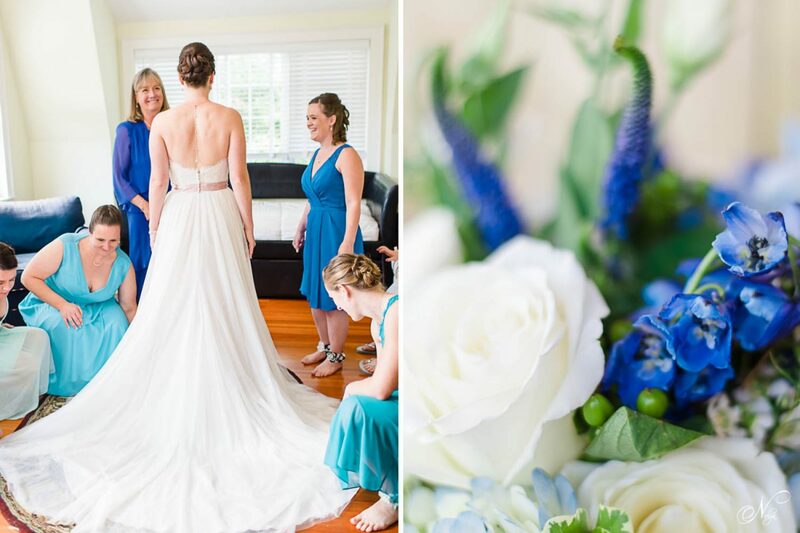 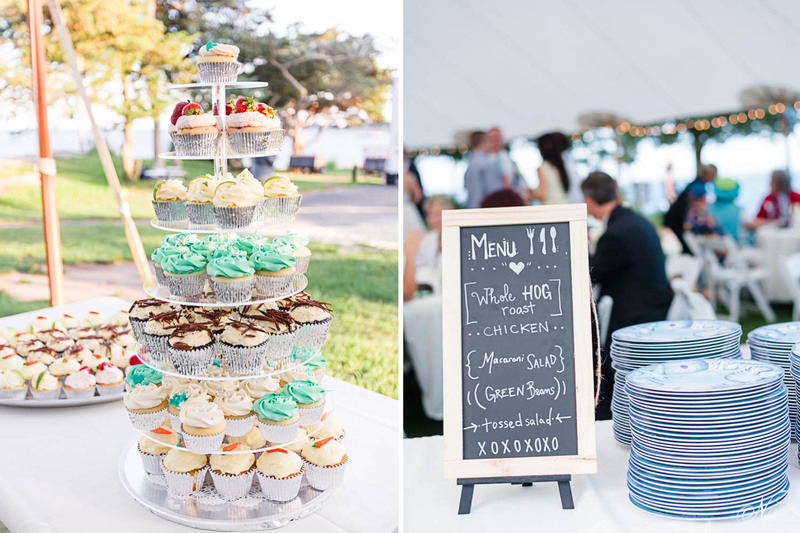 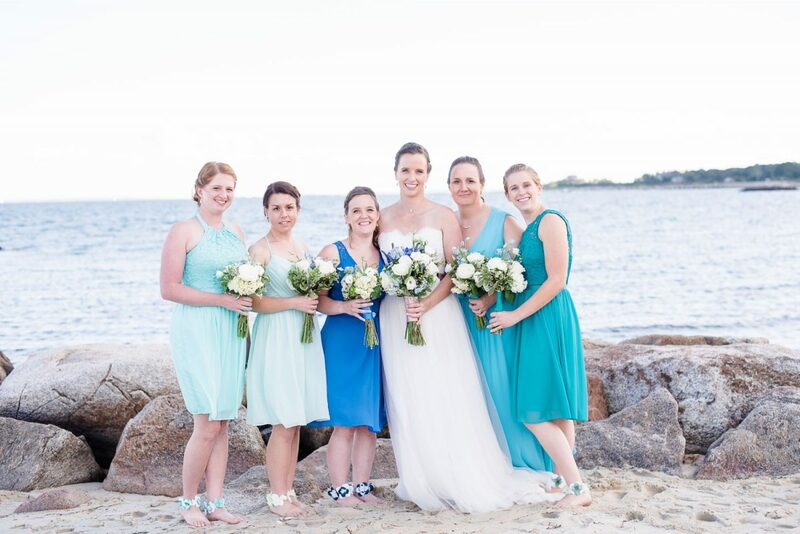 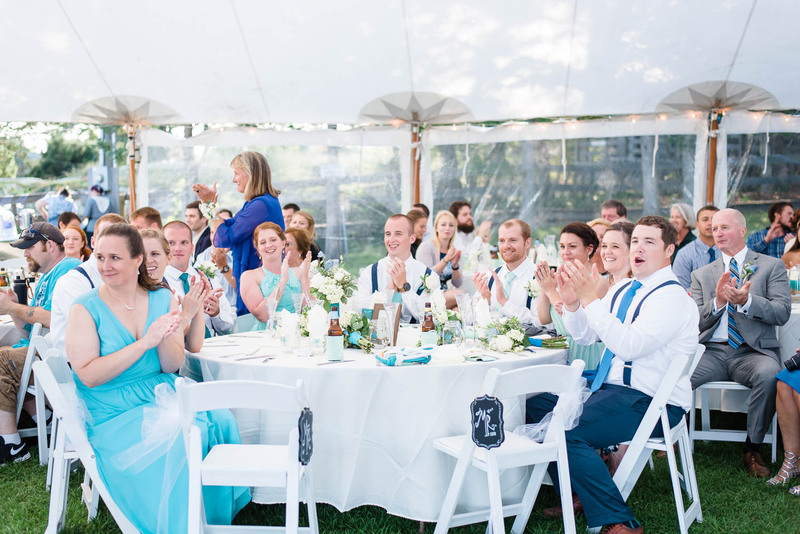 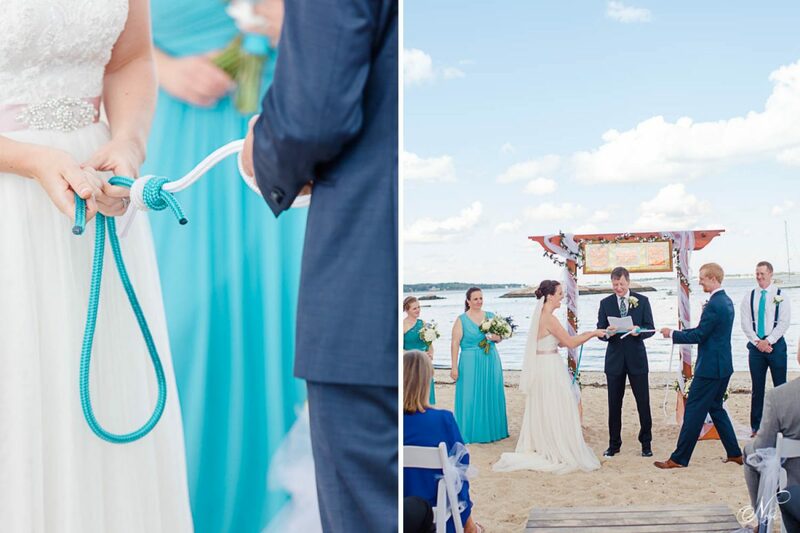 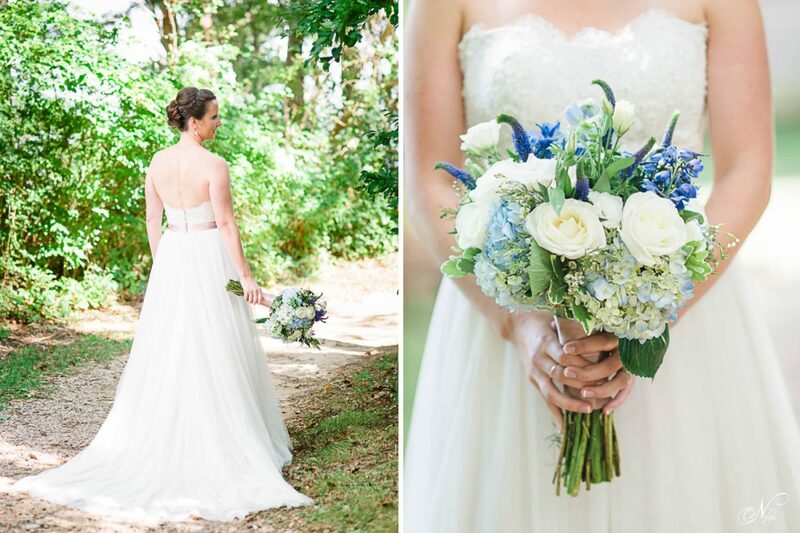 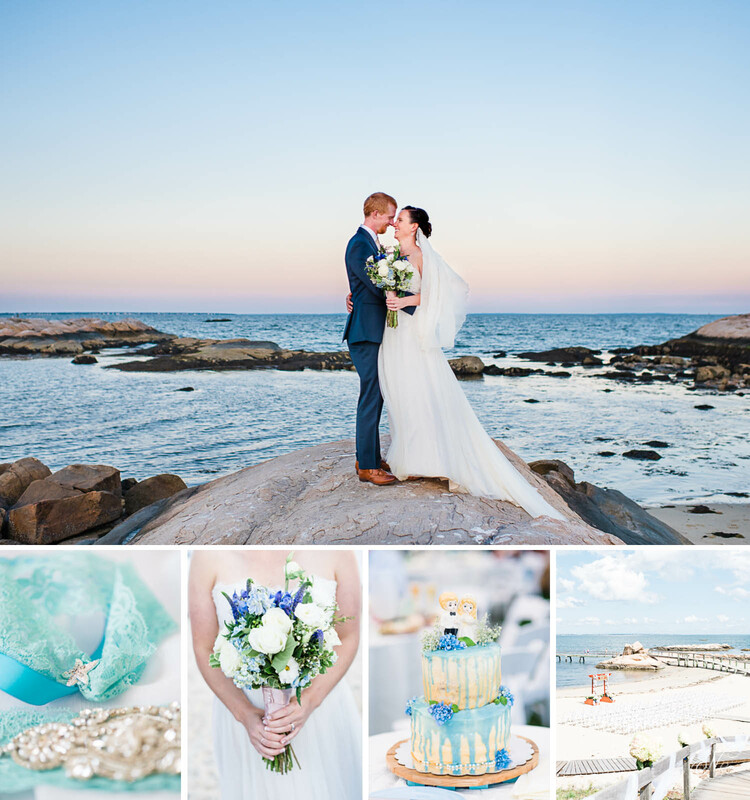 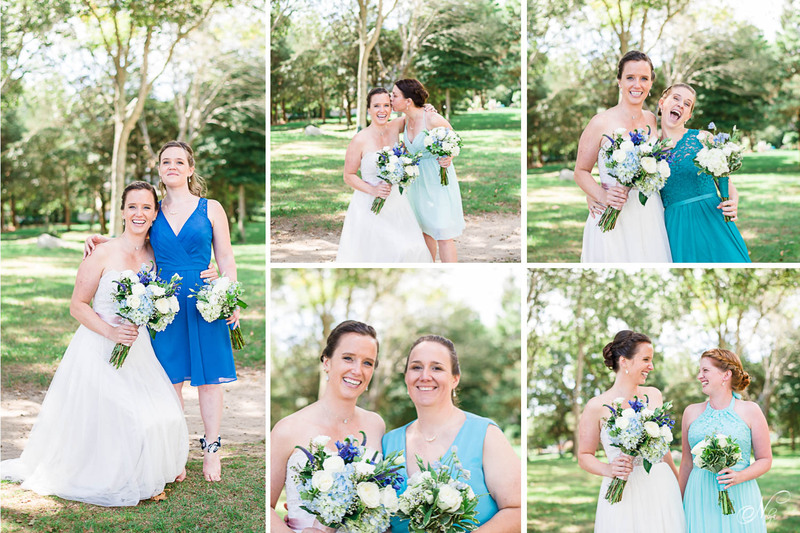 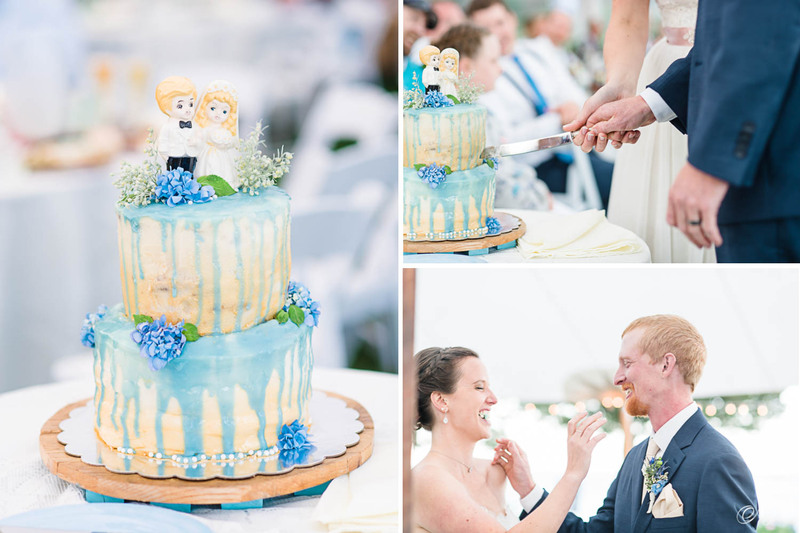 I was extra excited to see the gorgeous shades of blue, turquoise, aqua, navy and royal blue all the details were! 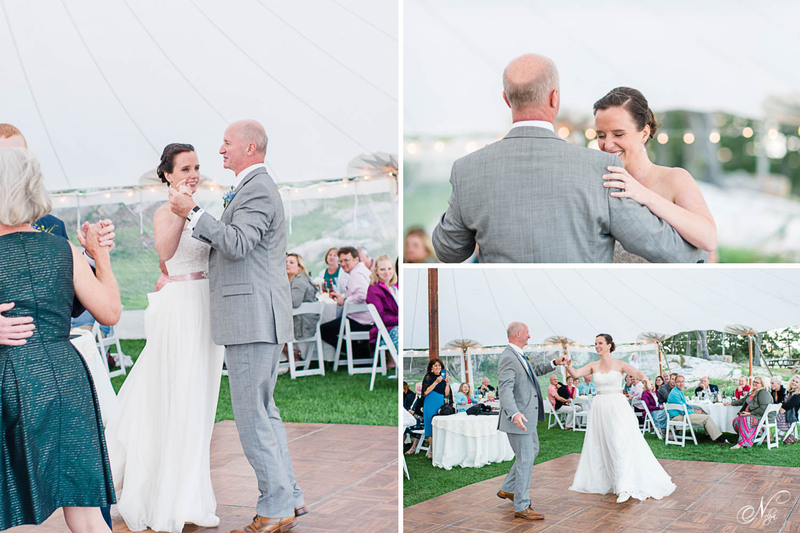 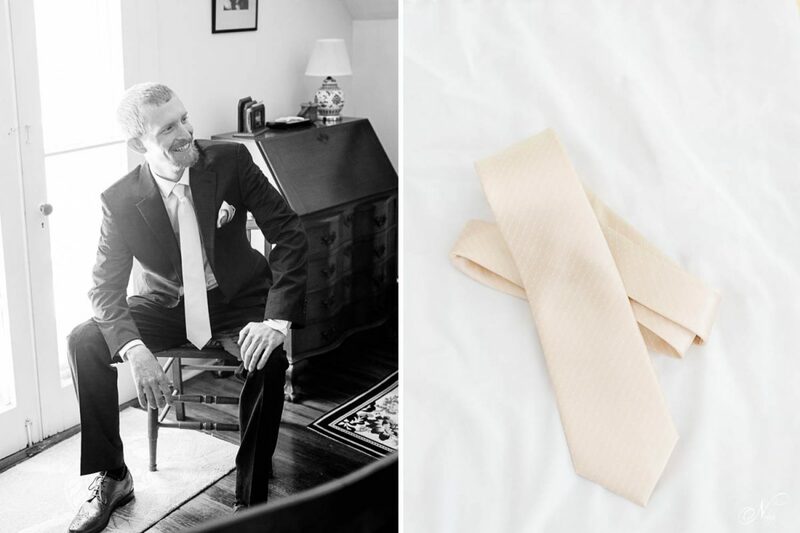 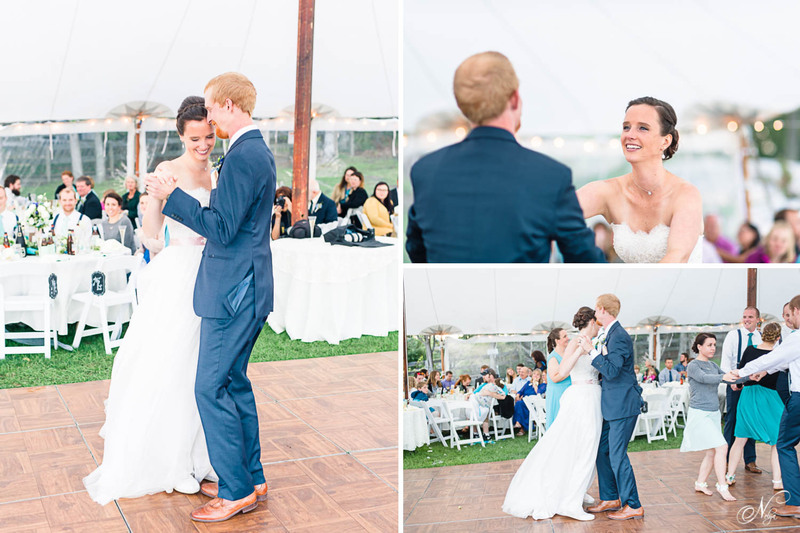 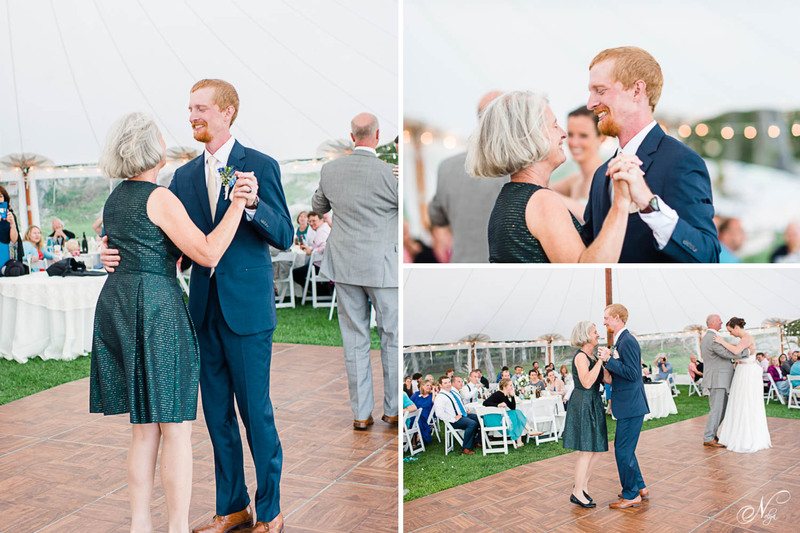 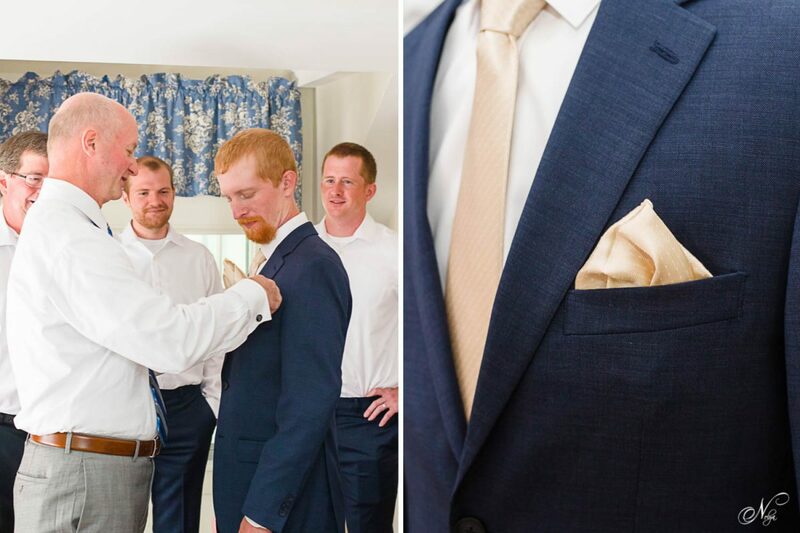 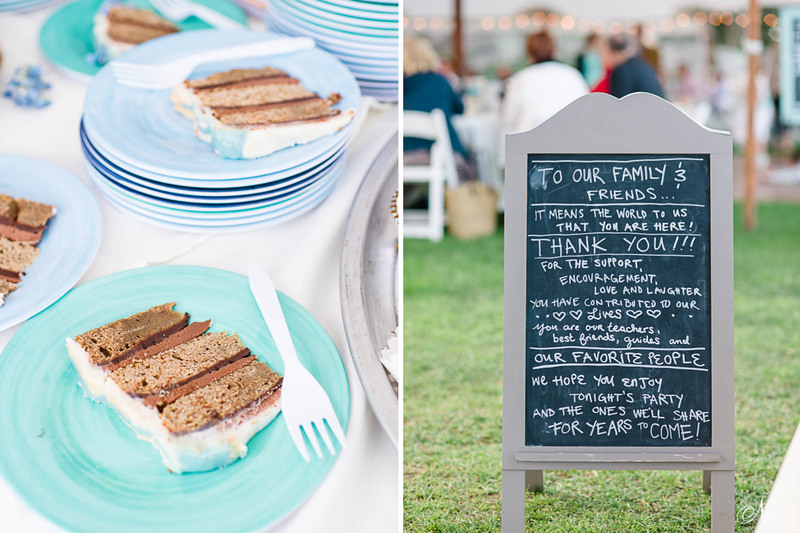 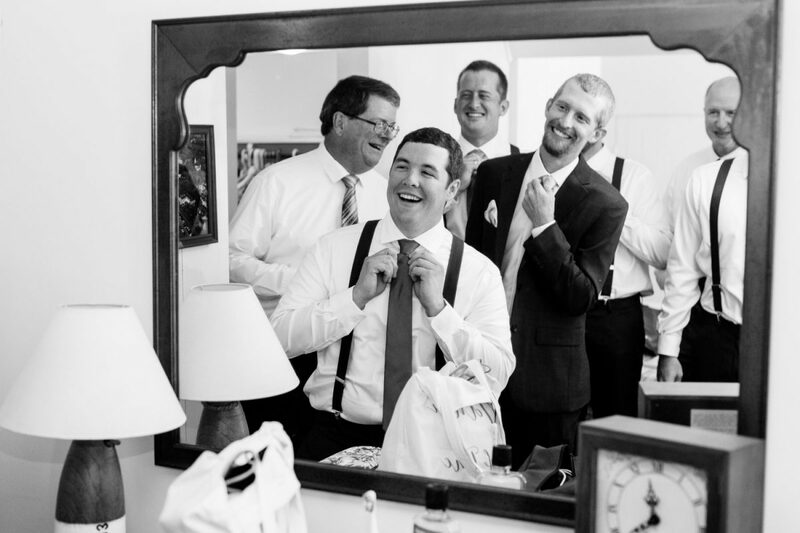 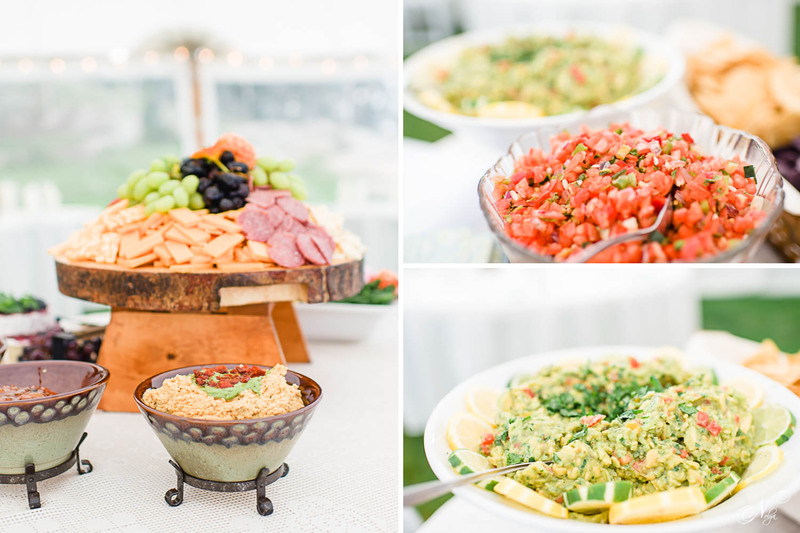 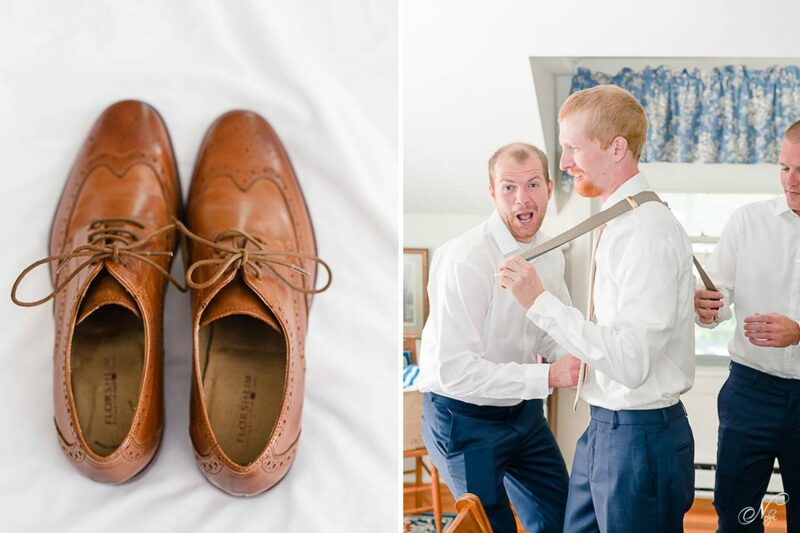 I knew right away this was going to be yet another favorite wedding! 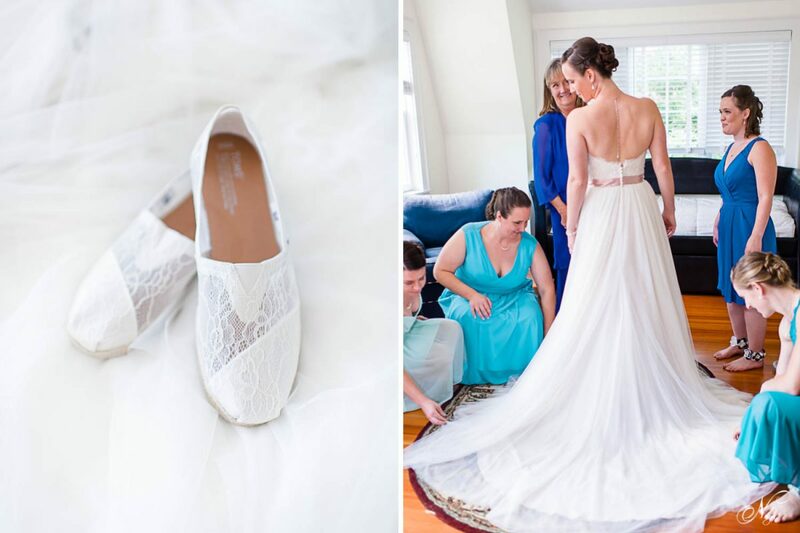 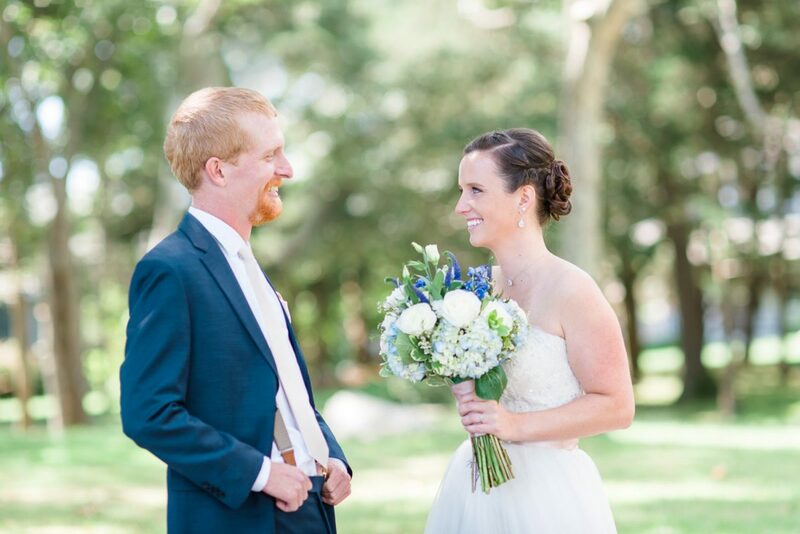 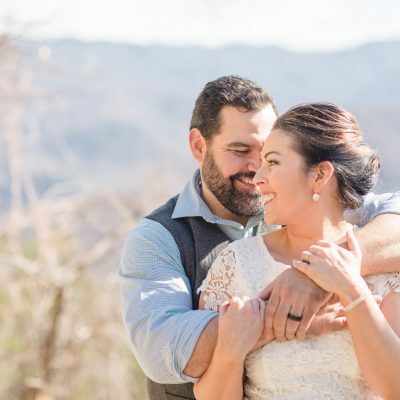 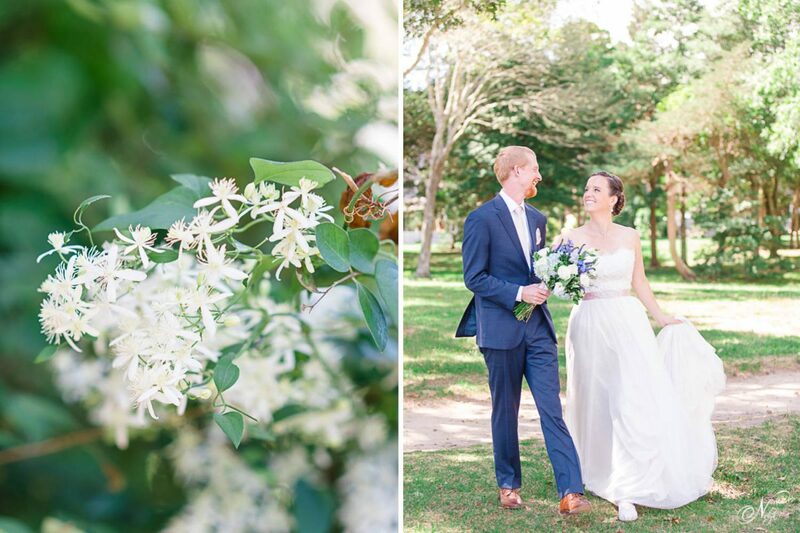 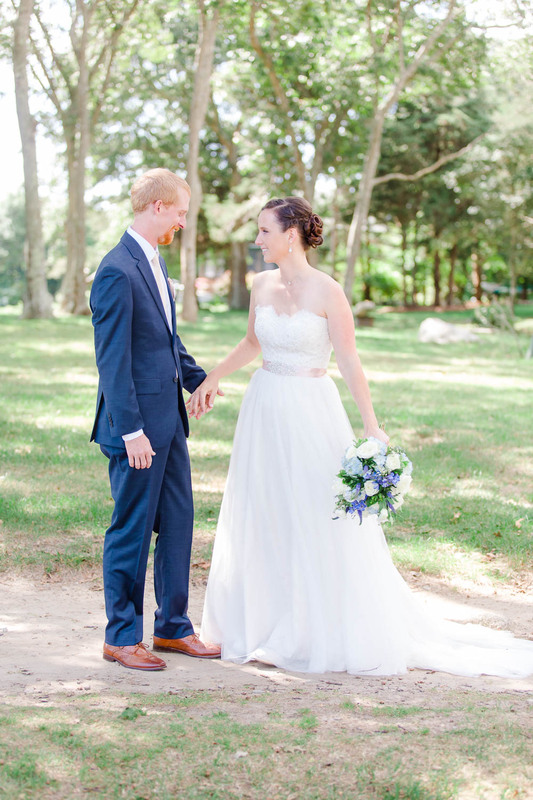 Amanda and Matt shared their first look and then before we knew it, it was time for them to get married!! 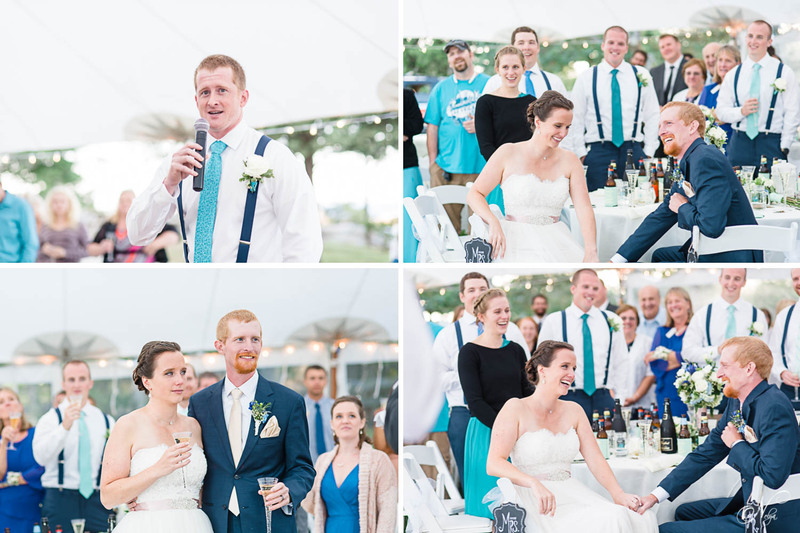 I loved so many things about their ceremony. 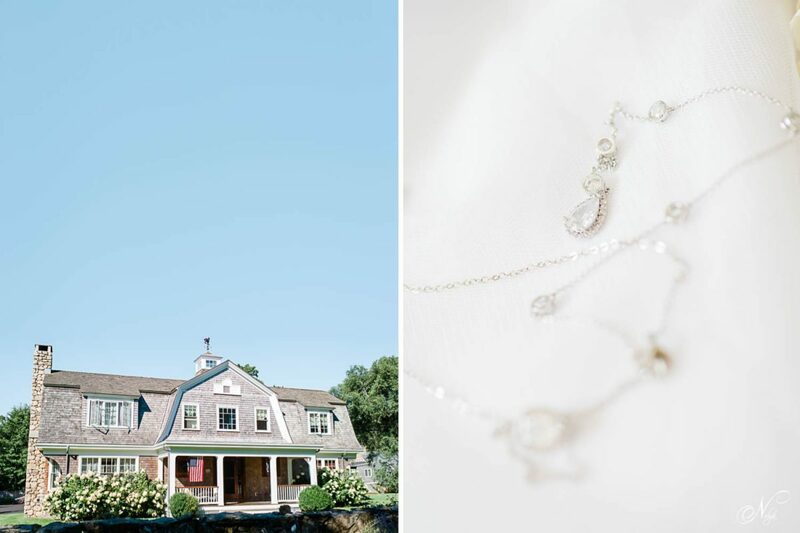 I loved that it was a favorite place where she’d vacationed when growing up. 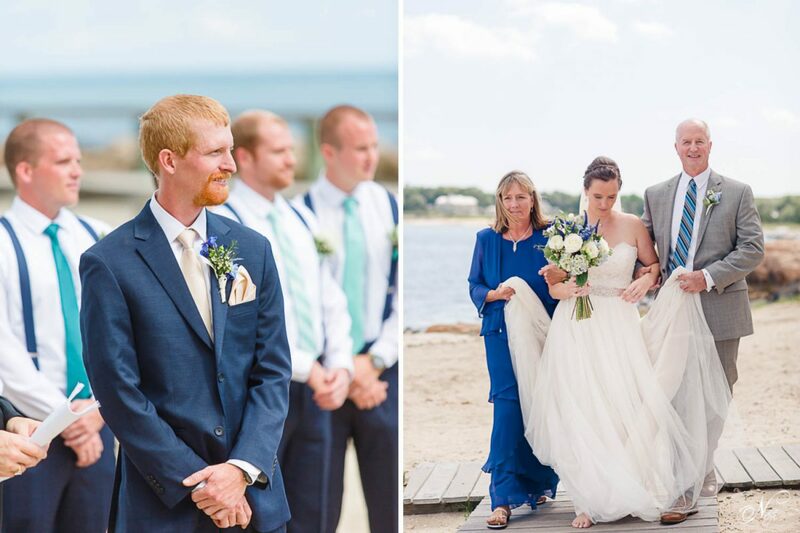 I loved that her family and friends got teary-eyed along with her as she read her vows, and I loved watching Matt just looking at Amanda throughout the ceremony. 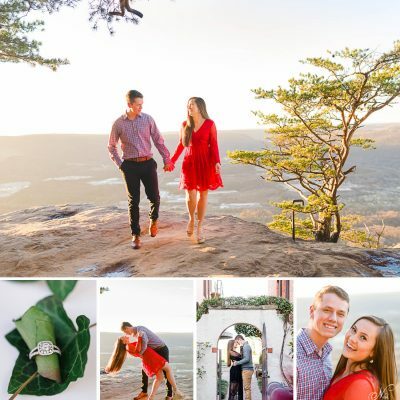 Amanda and Matt have such a beautiful relationship. 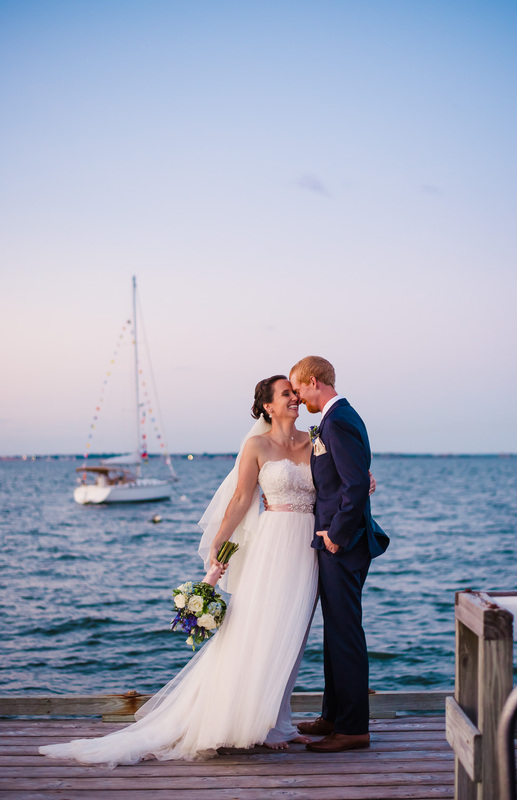 I loved capturing their day with their family and friends, but my favorite part of the day was taking portraits of just the two of them at sunset and allowing them to have a few extra minutes together, away from the guests!! 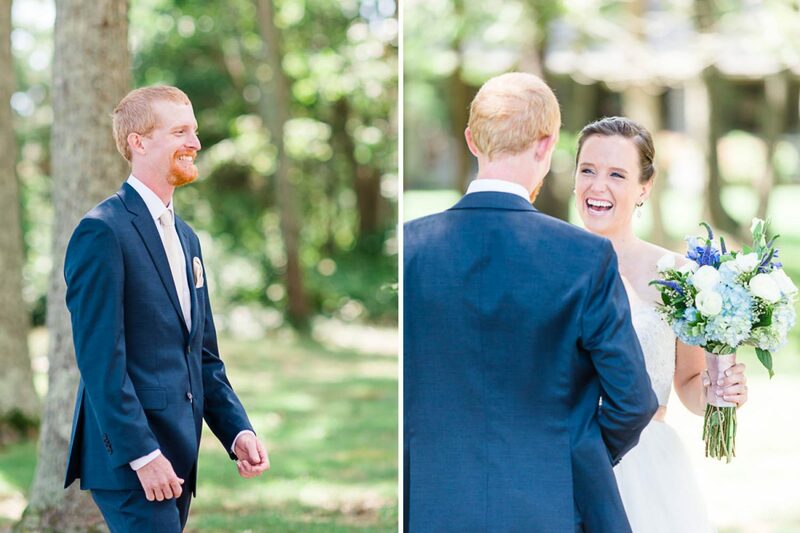 Thank you for inviting me to make that crazy long drive from Knoxville to Massachusetts to document your wedding day! 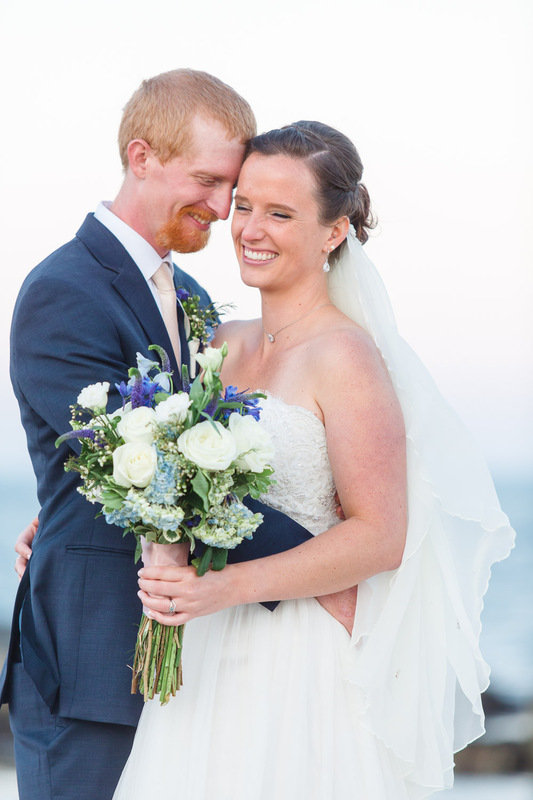 It was such an honor to be the ones to capture your beautiful moments and stunning details. 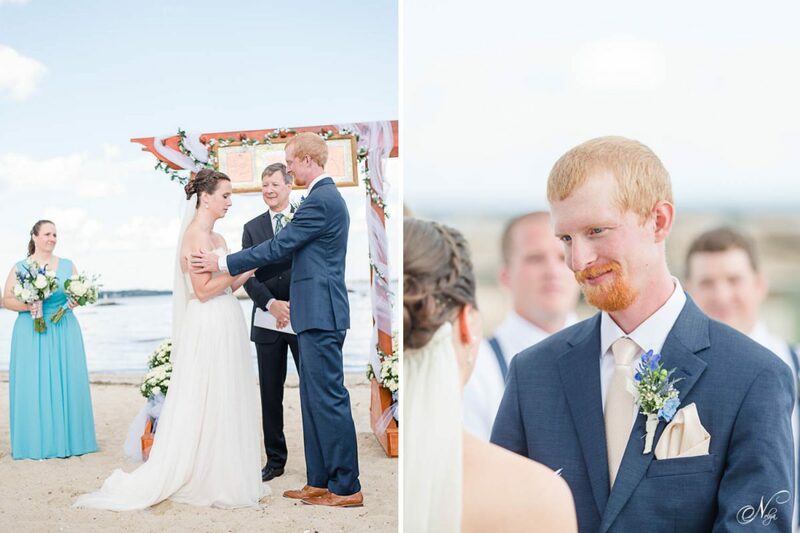 I hope you thoroughly enjoyed your honeymoon later this year in Florida!! 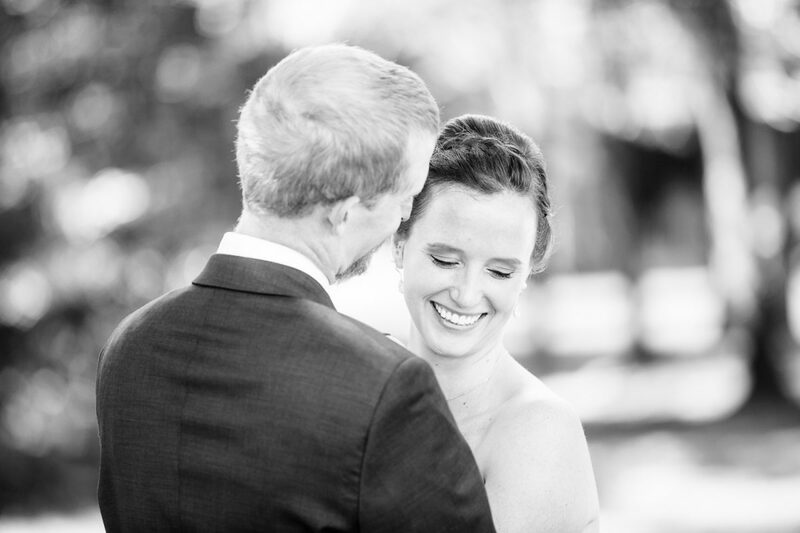 Special thanks to the creative team for making this day so wonderful.